Online Application Details for Oil and Natural Gas Corporation Limited ONGC Recruitment of 65 Trade Apprentices is given below. 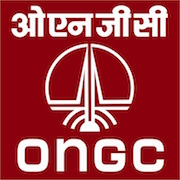 Application form and duly attested documents are to be sent to The DGM (HR)-I/C HR-ER, Oil and Natural Gas Corporation Limited, ONGC Academy, KDMIPE Campus, Kaulagarh Road, Dehradun – 248195 (Uttarakhand). In envelope super scribed with 'Application for the Post of Post Name'.